Micro soldering handpiece for the FX-100 Soldering Station. 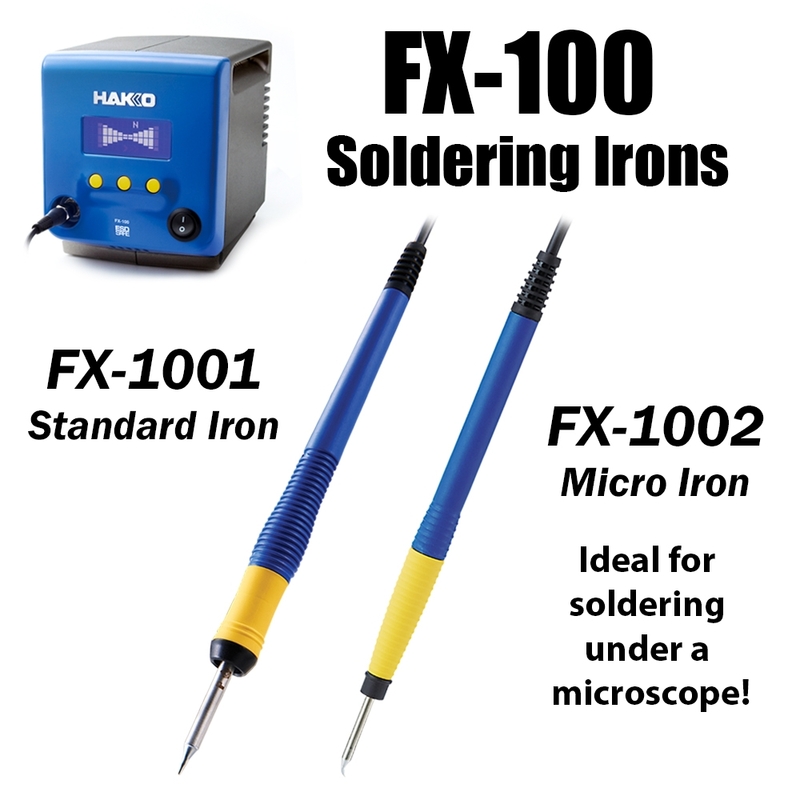 The Hakko FX-1002 micro soldering iron is to be used with the FX-100 RF induction heating soldering station and is ideal for soldering under microscopes. 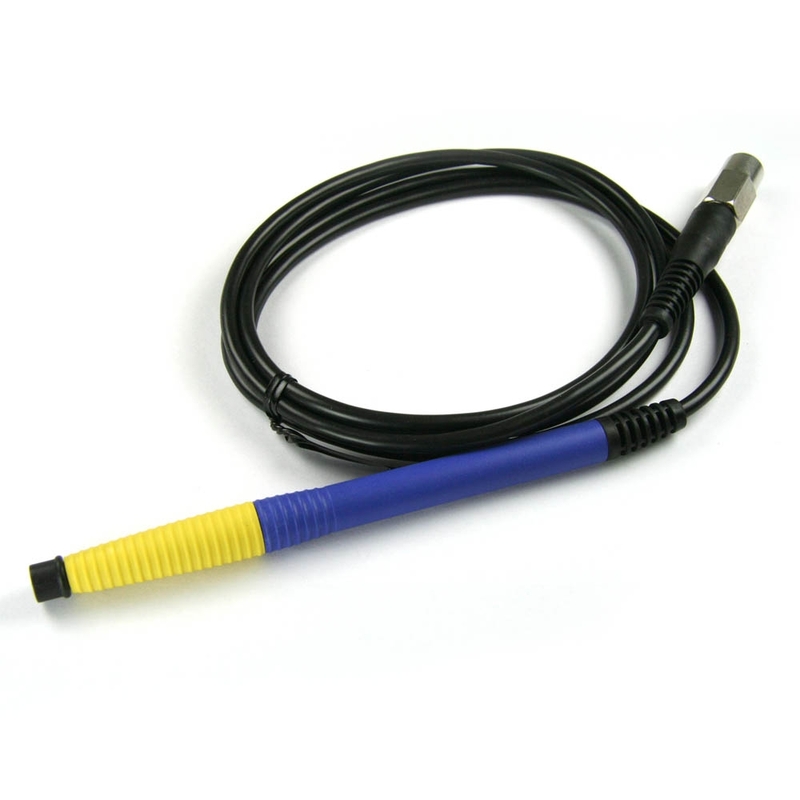 The FX-1002 features a burn resistant cord, a quick heating time, and uses T35 Series tips that offer the same renowned Hakko tip life and quick change feature as the T31 Series tips, but in micro shapes. B5180 FX-1002 Green Sleeve Assembly Sleeve for use with the FX-1002 Handpiece. FH800-52BY, FX-1002 Iron Holder Iron holder for the FX-1002 soldering iron handpiece. B5179 FX-1002 Yellow Sleeve Assembly Sleeve for use with the FX-1002 Handpiece.